One of my favorite annual projects is designing new buildings for Tea Light Village. Over the weekend I added the 2018 versions to the store. This year I added a barber shop complete with the iconic pole and a covered bridge. 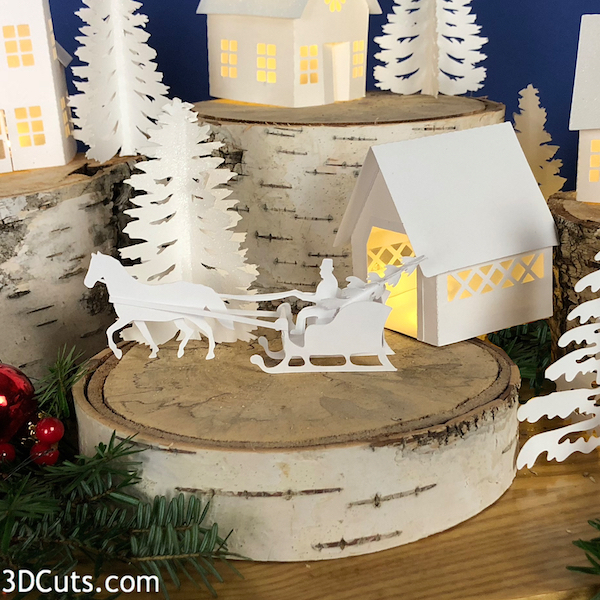 The covered bridge comes with a charming horse drawn sleigh which requires tiny fingers or tweezers to assemble! I love rearranging them for the season and adding fairy lights. The cutting files for the 2018 additions are here for $2.59 for all 3 items. The cutting file for the entire collection- all years is here for $12.59 for all 16 buildings plus accessories. 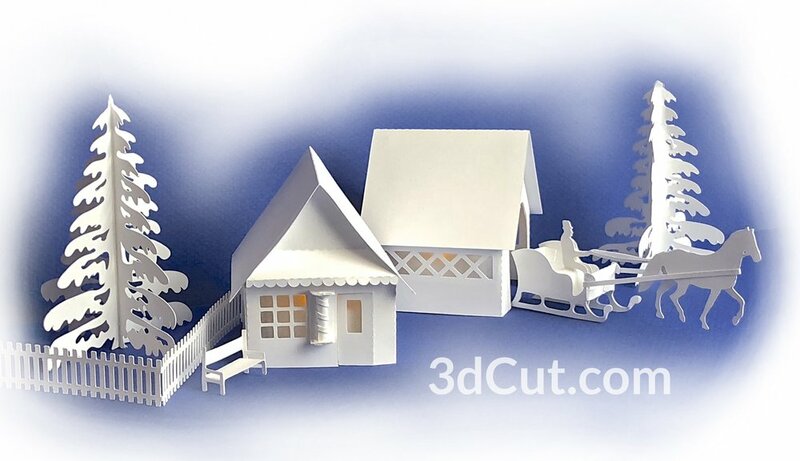 The tutorial for the assembly of the Covered Bridge and horse-drawn sleigh is here. The tutorial for the assembly of the Barber Shop is here.